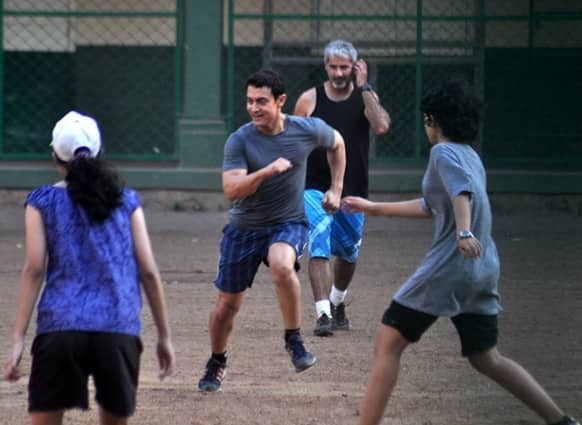 Aamir Khan was recently spotted in the midst of a fun family football match! Esha Gupta poses for a photograph. Priyanka Chopra looks stunning in the pink dress she wore for the song 'Pinky hai dilwalon ki' from 'Zanjeer'. Cosmopolitan Man India's May 2013 cover boy is dashing actor Vidyut Jamwal. 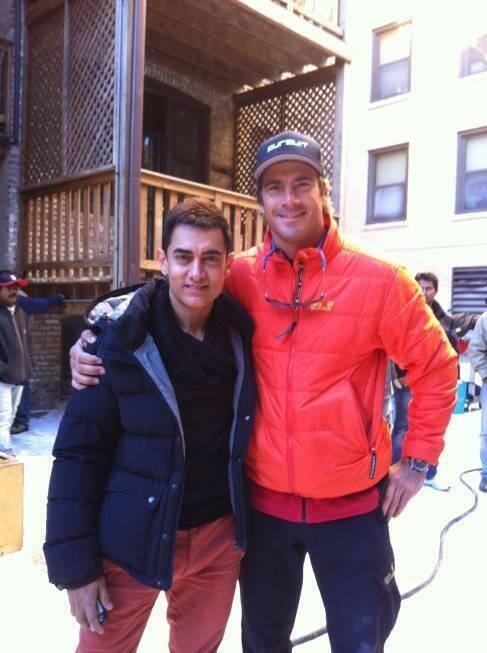 Aamir Khan spotted on the sets of Yash Raj Films' 'Dhoom 3'. Amul India pays a tribute to 'Bombay Talkies' in its latest print advertisement. Shuddhi Jewels' print commercial features Ameesha Patel bedecked in gorgeous jewellery. Actor Amit Sadh tweeted this picture and wrote: "My close friend Mahen & I walking through the lanes of OxfordUni.Almost considering doing a part time MBA course here ." Bunny (Ranbir) believes in living life to the hilt and Naina (Deepika) can't not agree more. Ameesha Patel is spending good time enjoying London these days. Here's a picture tweeted by the actress. Ranbir Kapoor and Aditya Roy Kapur sharing a hearty laugh in this still from their upcoming film. Ranbir Kapoor holding a bottle of champagne in a still from the film 'Yeh Jawaani Hai Deewani'. 'Gippi' actress Riya Vij strikes a fun pose for the camera with her favourite actor Ranbir Kapoor. Lisa Haydon gets beautifully covered by Cosmopolitan India for its May 2013 issue. Veena Malik tweeted this picture of hers after landing at the Kolkata airport. 'Kai Po Che' star Amit Sadh running his way to fitness! Pakistani siren Veena Malik tweeted this picture of hers. She seems to getting ready for an event. Do you like it?